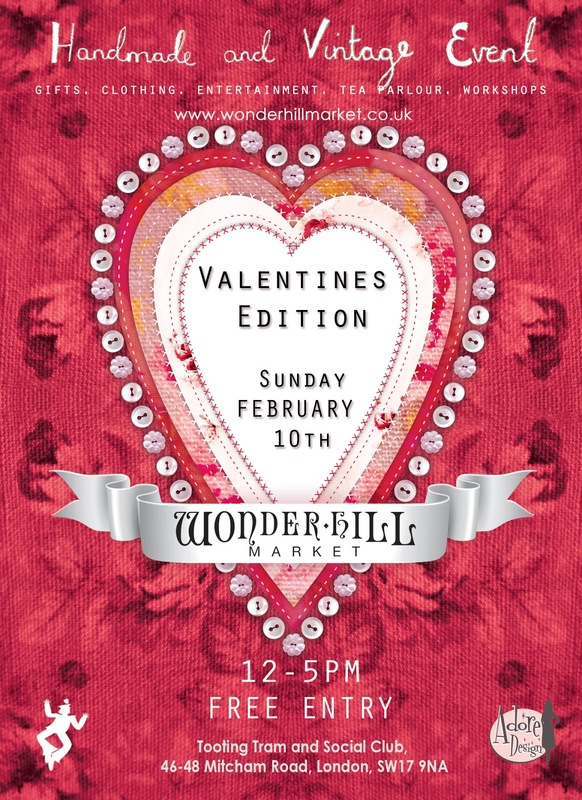 Wonder Hill Market is hosting a Handmade & Vintage Valentines market event this February 10th, at the Tooting Tram & Social up near Tooting Broadway & we will be there showing our faces for the first time this year too! This event will be a great chance to get some lovely gifts in for that special someone or for your very own wonderful self, its definitely worth a trip! Expect clothing, jewellery, accessories, artwork, photography, illustration, toys, so many more goodies to purchase, cake, tea parlor, open bar, entertainment and make a gift workshops.